Read on to find out how a lot of people all doing a little bit each can help UKIP change the political landscape of the United Kingdom forever. We are now approaching the final sprint phase in the Run up to the 2015 General Election and thousands of North Dorset voters are going to vote for UKIP in the General Election on the 7th May 2015. But what many of these good people do not realise is that as well as their vote they can help UKIP win in North Dorset in other ways and it it won’t take over your life. Make sure that when you wake up on the 8th May you can look in the mirror and say to yourself that you did your bit to help remove the shackles of the EU from around the UK. • Display a garden or window poster – contact us and we’ll get one out to you. We’ll even put the garden poster up for you and take it away after the election. • Put a sticker in your car window, or maybe a couple of UKIP flags – contact us for details. • Join UKIP – after all it only costs £30 a year. • Send us a donation. It doesn’t matter how small – every penny helps and is gratefully received. • Spread the message by delivering some leaflets. We are not asking people to deliver thousands, just 100-150 each in your local streets and roads just before the election. • Be a Teller and sit outside the polling station on General Election day noting down voters’ electoral roll numbers. • For the more adventurous why not come canvassing with one of our teams? Talking to people is the most effective way of getting our message across. • Become a voice for the people by standing as a councillor to represent the people of your local area. Give them a UKIP box to put their cross in on election day – without that they will have to vote for one of the others. 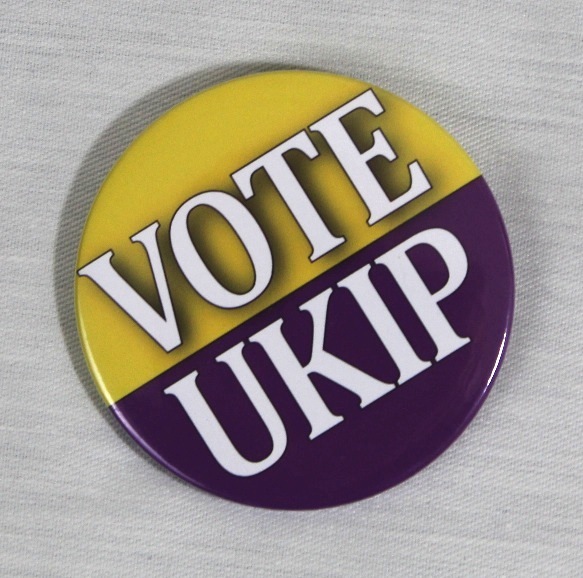 • Or why not buy some UKIP merchandise like a badge, car sticker or an umbrella perhaps – contact us for details. If you feel you can give UKIP some help with any of the above do contact us using the email address ‘helpukip@steve-unwin.co.uk‘. Please don’t leave it to ‘someone else’.